Concaved Beach Restaurant is located at the center of Patong bay. We are provide the real tasted of French cuisine by an high experience French chef. We also served Seafood, Thai food and International food too. Concaved is the perfect place for a couple or family to enjoy the romantic sunset combination with the sound of the sea and the perfect food. 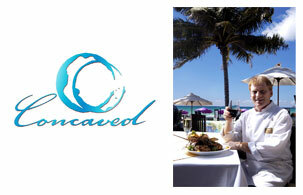 For dining with the best view in Patong beach you can find concaved hard to beat. Talking center stage in world famous Patong beach, close the beach is the stunning setting for dinning concaved beach restaurant. It’s difficult not to over state the view but it’s truly breathtaking with the sunset you would find it hard to beat anywhere in the world. Open daily 9.00 am. – 12.00 pm.